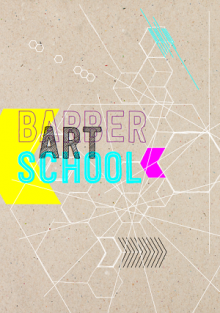 Here at the Barber we love school visits so why not get in touch and plan yours? For all workshops, please book at least 6 weeks in advance. However, we recommend that you book as early as possible to avoid disappointment. You can choose from the list of workshops below, or contact us to discuss a tailor-made workshop to meet your curriculum requirements. Workshops include facilitated, interactive gallery time where pupils can learn to interrogate works in the collection, develop questioning skills and engage in active discussion, forming their own opinions. This is followed by an art workshop in our art room, responding to the themes they have explored in the gallery. 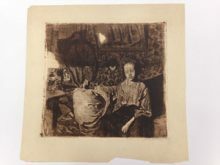 Workshops include drawing, printmaking and sculpture. Workshops are 2 hours and cost £130. This includes a facilitated gallery session, an art workshop and all materials. The maximum group size is 30 pupils. You can follow this with a practical art making workshop in response to the themes your students have explored in the galleries. Add a one hour practical workshop for an additional £70, which includes materials. Longer workshops can be arranged- get in touch for a chat. All of our gallery sessions and workshops can be booked for special needs groups. Our experienced and knowledgeable team can tailor sessions to meet the identified needs of your group so please get in touch to discuss further or let us know of any specific requirements at the point of booking. Coaches and minibuses can drop groups outside the main entrance to the Barber Institute. Parking is then available in the University’s entrance to the North Car Park on Pritchatts Road. Coats and bags can be stored safely on our cloakroom trolley throughout your visit. We have no dedicated lunch space- but a member of the team will be happy to assist and provide advice and alternative options. There is a gift shop at the Barber- pupils are welcome to visit this at the end of their visit. Adult to pupil ratios: KS1 and 2: one adult to every eight pupils; KS3 upwards: one adult to every twelve students. Gallery staff cannot be counted as supervisory adults. When visiting the gallery we kindly ask groups to observe our gallery rules, click here. You can download our risk assessment here. Plan your visit to the Barber with the Learning and Access team – have a chat with them about what you want to do. Plan ahead to get the best value for your time and money. Contact Alex Jolly, Learning and Engagement Co-ordinator, on education@barber.org.uk or 0121 414 2261.